Using both offset and digital printing technology, we are able to provide a one-stop printing solution for our clients. Traditional offset printing offers cost efficiency with high quantity. For customers who require high quality, quick low quantity printing at very affordable cost, digital printing is the way to go. 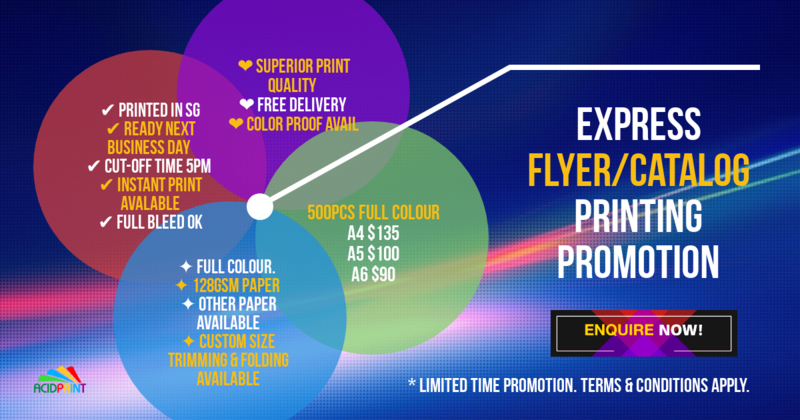 We offer very competitive rate for all our printing services. Please contact us at 6852-9402 for a no-obligation quotation. Labels, Stickers, Decals- all shapes and sizes available on wide variety of material. Professional quality. Signboard. Aluminium, Acrylic, PVC Signs. Placards. Reflective traffic signages available. Please call to check or Submit the RFQ below for quick response. Thank you. We handle both big and small jobs. Customised jobs are most welcomed. We have been quite successful in fulfilling jobs rejected by many printers.